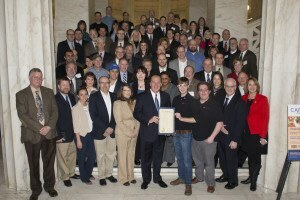 Are you an innovator or entrepreneur in West Virginia? Join us on January 28 at the State Capitol as we showcase the state’s Innovation Economy at the West Virginia Legislature. 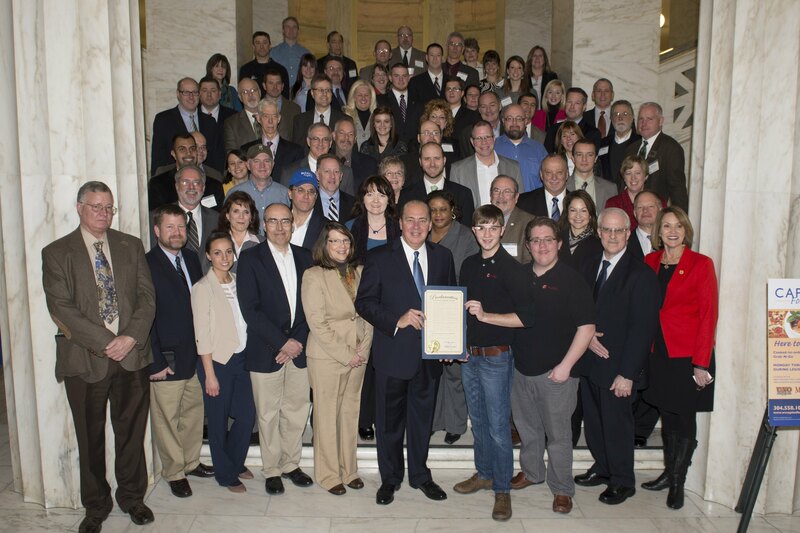 With many new members of the House of Delegates and State Senate, the time is right to join TechConnectWV and TransTech/Industries of the Future-WV as we demonstrate that the Innovation Economy is not just a concept in West Virginia, but a reality. “The goal is to showcase the groups and companies that are working to advance innovation and entrepreneurship across our state by having a large presence at the State Capitol on January 28, as well as those who wish to be included as participating organizations,” said Anne Barth, TCWV’s Executive Director. During the last session, more than 130 groups and companies signed on in support. Carl Irwin, Director of TransTech/Industries of the Future-WV, said the day provides an opportunity to network at the Capitol with legislators, key state officials, manufacturers, innovators, entrepreneurs and colleagues. “This is a chance to brainstorm with colleagues about initiatives and polices that help create jobs, deploy innovative technologies, and promote new business development,” Irwin said. TransTech/Industries of the Future-WV will also announce and celebrate the 2015 winners of the Governor’s Award for Excellence in Industrial Energy Efficiency and the Governor’s Award for Leadership in Advanced Green Manufacturing. EXHIBIT: For those who want to exhibit, space will be available in the hallways outside the legislative chambers. The number of exhibit spaces is limited, so sign up today if you are interested. The cost to exhibit is only $20 per table.Register online at https://www.eventbrite.com/e/2015-innovation-entrepreneurship-day-at-the-state-capitol-tickets-12619327749 Fees are:Exhibit $20 per table – Lunch $10 per person – Otherwise it’s free! A block of rooms is being held at the Charleston Marriott for participants. Call 800-228-9290 by January 12, 2014 and ask for the “Innovation/Entrepreneurship” rate of $105. If you’d like to have your group listed as a participant in celebrating West Virginia’s Innovation Economy, email Barth at anne@techconnectwv.org.